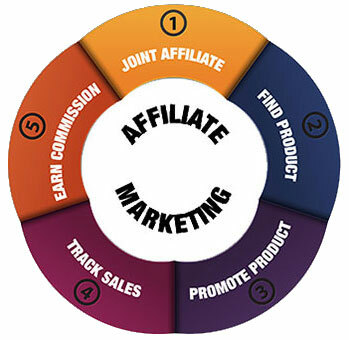 › iAdControl Blog › What is Affiliate Marketing? It’s a great source of lead generation too because people are told directly about the product and then told where to buy it. The right affiliate can generate a lot of leads and interest in the product so it can be considered a great way to go about marketing online and doing some good web marketing for your business or product. Most of the people who become affiliates are people who genuinely enjoy the company and products that they plug and want to share them with the world. Then there are people who are interested in doing it for the money. If you have a large enough audience and you’re charismatic enough then you can certainly expect to make some money from affiliate marketing. Affiliate marketing has proven to be quite a successful business venture and a proven way to get people to advertise your product effectively. As a business, offering an affiliate scheme generates a lot of positive feedback and interest in your company too. People will be motivated to really sell things knowing that they get a portion of the income if they do. It effectively turns anyone on the internet with an audience into a salesperson who can sell your products in return for a slice of the pie. Of course not everyone can be a wealthy affiliate. It’s not really going to be some kind of get rich scheme, but it can be a way to earn a bit of money. Though of course with the right products, the right audience, and the perfect sales pitch, you can stand to make enough from affiliate marketing to ease any money problems you might have. It’s something that’s easy to do and doesn’t really require much in the way of technical skills. So give it a go and see how you do in the wide world of online advertising through an affiliate program.